The products on the website are only available for sale to individuals who can make legally binding contracts. The products are not available to persons under the age of eighteen (18) years and any other persons who are legally prohibited from entering into binding contracts. By accepting this agreement, you acknowledge that you are over the age of eighteen (18) years. You are responsible for ensuring that it is lawful to import products purchased from OCD Tronic into your jurisdiction and/or use them in your jurisdiction. You are responsible for obtaining any permits for, or making any modifications to the products purchased from OCD Tronic so as to enable them to be imported into or used within your jurisdiction. The OCD Tronic website is offered to you and conditioned on your acceptance without modification of the terms, conditions, and notices contained herein. Your use of the OCD Tronic website constitutes your agreement to all such terms, conditions, and notices. OCD Tronic reserves the right to change the terms, conditions, and notices under which the OCD Tronic website is offered. You are responsible for regularly reviewing these terms and conditions and additional terms posted on the OCD Tronic website. Your continued use of the OCD Tronic website constitutes your agreement to all such terms, conditions, and notices. OCD Tronic may modify, suspend, discontinue or expand the extent of the services provided on this site at any time in its absolute discretion. • any loss in connection with the use of the website. 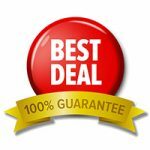 Any order placed by you in the manner described in this website is an offer by you to purchase a particular product for the price (including the delivery and other charges and taxes) specified in this website at the time you place your order on these terms and conditions. OCD Tronic reserves the right to accept or reject your offer for any reason, including, without limitation, the unavailability of any product, an error in the price or the product description posted on this website, or an error in your order. You may place an order by following the instructions on the website. By placing an order, you make offer to enter into an agreement to purchase the product(s) the subject of your order (Purchase Contract). Orders will be deemed to have been received by OCD Tronic at the time OCD Tronic sends an order confirmation to your nominated email address. OCD Tronic will primarily communicate with customers via email. It is the customer’s responsibility to ensure the correct contact details are entered and that the nominated email address is regularly checked for correspondence. OCD Tronic reserves the right to decline to enter into a purchase contract with you and may cancel your order at any time prior to dispatch of the product(s). In the event of a cancelled order, funds paid in relation to that order will be refunded in full. You will be provided with email confirmation of the cancellation and refund. OCD Tronic does not accept any responsibility for orders that are declined, delayed or not accepted due to disruptions with internet connections. OCD Tronic shall not be liable for any delay in performing any of its obligations under this agreement if such delay is caused by circumstances beyond the reasonable control of OCD Tronic (or its affiliates) OCD Tronic shall be entitled to a reasonable extension of time for the performance of such obligations. We have done our best to display as accurately as possible the colors of the products shown on the OCD Tronic website. However, because the colors you see will depend on your monitor, we cannot guarantee that your monitor’s display of any color will be accurate. Despite our best efforts, on occasion it may be possible that products in our range may be incorrectly priced on the website. If we have made a mistake and a product’s correct price is higher than the price on the website, we may either contact you before shipping to request whether you want to buy the product at the correct price or cancel your order. If a product’s correct price is lower than the stated price on the website, we will charge the lower amount and send you the product, or where the higher incorrect price has been charged, we will refund the price difference and send you the product. In relation to purchases for delivery outside of The USA, you are responsible for ensuring that the goods can be lawfully imported to the destination country. You are the importer and must comply with all laws and regulations of the destination country. 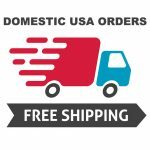 For non-USA customers, your orders may be subject to import costs such as customs duties and taxes. You are responsible for the payment of any such costs (which may be in addition to the stated purchase price for such goods on the website). All orders will be shipped out within 2 business days of cleared payment, delivery times are indicative only and OCD Tronic will not be liable for any failure to observe these delivery times. We try to ensure that all products are delivered in a prompt and timely manner. However, from time to time, it is possible that shipping and other factors outside of our control may result in delays. OCD Tronic does not accept any liability for loss or damage suffered by anyone as a result of any such delays. OCD Tronic will retain title to the products you order until you have made payment in full for those products, but all risk in the products will pass to you upon their delivery to or collection by a postal or courier service. You should consider whether to obtain any suitable insurance. • The content contained in the website is protected by copyrights, trademarks, service marks, patents or other proprietary rights and laws. Except as expressly authorised by OCD Tronic or the relevant third parties, you agree not to modify, rent, lease, loan, sell, distribute or create derivative works based on the website, in whole or in part. • your use of the website is at your sole risk. • the website is provided on an as is and as available basis. • any errors in the Web Site will be corrected. Any material downloaded or otherwise obtained through the use of the website is done at your own discretion and risk and that you will be solely responsible for any damage to your computer system or loss of data that results from the download of any such material. No advice or information, whether oral or written, obtained by you from OCD Tronic or through or from the website shall create any warranty not expressly stated. • any other matter relating to the website or products ordered through the website. This website contains links to sites of third parties. Those sites are not under the control of OCD Tronic and OCD Tronic is not responsible in any way for the contents of any linked site. The links are provided for your convenience only and may not remain current or be maintained. The existence of the link does not imply any endorsement of the linked site by OCD Tronic. Any link by you to a third party’s site is done at your own risk. We are not responsible for the content or privacy practices associated with linked web sites. OCD Tronic does not represent that any information (including any file) obtained from or through the website is free from computer viruses or other faults or defects. You must take your own precautions to ensure that your process for accessing the OCD Tronic website does not expose you to risk of viruses, malicious computer code or other forms of interference which may damage your computer system. It is your responsibility to scan any such information for computer viruses. OCD Tronic will not be liable to you or to any other person for any loss or damage (whether direct, indirect, consequential or economic), however caused and whether by negligence or otherwise, which may result directly or indirectly from any such information. To the extent that any liability may be imposed on OCD Tronic, it shall be limited to the cost of re-supplying that information. We reserve the right to email you product alerts and special offers and information relating to product updates that we believe may be of interest to you. We respect your right not to receive these communications and if you advise us at the time of placing your order that you do not wish to receive these special offer and alert emails we will disable that functionality for your account. Our communications will contain a clear link to unsubscribe. Once you have unsubscribed we will remove your name from the communication list and will no longer send you these special offers and alerts, unless you choose to re-subscribe at a later date. These terms are covered by the law in force in the State of Nevada and the parties are to submit to the non-exclusive jurisdiction of the courts of Nevada. If you have a complaint, please let us know. We welcome feedback as an opportunity to improve our business and the customer service we provide. We welcome your comments regarding the website and our product however, any comments, feedback, notes, messages, ideas, suggestions or other communications submitted shall be and remain the exclusive property of OCD Tronic. Your submission of any such comments shall constitute an assignment to OCD Tronic of all rights, titles and interests in all copyrights and other intellectual property rights. OCD Tronic will be entitled to use, reproduce, disclose, publish and distribute any material you submit for any purpose whatsoever, without restriction and without compensating you in any way. For this reason, we ask that you not send us any comments that you do not wish to assign to us, including any confidential information or any original creative materials such as stories, product ideas, computer code or original artwork. OCD Tronic will repair, replace or refund faulty or damaged products in accordance with the warranty terms and conditions and your rights under the applicable consumer laws. Nothing in these terms and conditions excludes, restricts or modifies the consumer guarantees provided for by statute. For the avoidance of doubt, nothing in this clause limits or restricts your ability to make a claim that may be available to you for failure to comply with a guarantee under applicable consumer law. If you are returning a product due to a fault or defect under a guarantee under applicable consumer laws, you may be able to return the product without its original packaging. Each product sold on the website is covered by a 12 month standard warranty, with the exception of refurbished or open box items, which will be covered by the warranty stated in the product description. Extended warranties may be available on selected products, as listed on the website. You may be required to register your product with the manufacturer within 14 days after delivery of your product to obtain extended warranty. The warranties and product support that we offer and provide pursuant to our terms and conditions are in addition to the consumer warranties and guarantees under applicable consumer laws. Proof of purchase either by invoice copy or payment confirmation must be provided when requesting service under standard or extended warranties. OCD Tronic requires any customer requesting service under standard or extended warranties to comply with directions from OCD Tronic staff in relation to troubleshooting any issue and facilitating any repair or replacement under these warranty terms and conditions. OCD Tronic reserve the right to replace the product or part with the same or equivalent product or part rather than repair it, replacement of the product or part under the standard or extend warranty does not restart or extend the standard or extended warranty period. Where a replacement product or part is no longer available OCD Tronic may it its discretion replace the product or part with the nearest equivalent product or part then currently available. In the event of a replacement or refund the faulty item shall become the property of OCD Tronic. OCD Tronic reserves the right to determine which authorised repair centre is appropriate service location for any given repair circumstance. The product shall be the customers risk while in transit to and from an authorised repair centre. OCD Tronic reserves reasonable discretion to determine if the product is performing within specification, subject to applicable law. • To service and support of any software operating system or application installed on any product, except to assist in restoring the product to its factory default settings. This entire website, copy, images, logos, content is copyright, all other trademarks are the property of their respective owners, who are not associated with OCD Tronic. Permission to use documents delivered from this website and/or server and related graphics is restricted. The name OCD Tronic or any of the trademarks or logos may not be used without prior written permission. The information contained on the website is subject to change without notice. We are not responsible for typographical, technical, or descriptive errors.